A 10 year old Canadian boy squats by the bank of a river in Borneo and watches the Prayer Man of the Dayak tribal group prepare the Beranyut ceremony. The son of missionaries to the Dayak people, Loren Warkentin1 was filled with curiosity about this ritual that these tribal animists performed once a year to drive sin and sickness from their village. Into an ornately carved piece of palm tree that was tied with bamboo to form a raft, the Prayer Man placed a burning lamp and two 3-day-old chicks, one alive and one dead. He then slaughtered a dog or chicken and collected the blood, sprinkling some of the blood on the raft and spreading some on the doorposts and lintel of a nearby house. He then turned and threw some blood on the surrounding people. Loren quickly moved back out of the range of the blood and kept himself at a safe distance. The goal of this series of articles is to propose a way to introduce the gospel into another cultural setting recognizing that some biblical metaphors are more appropriate than others, depending on the context. This does not mean that other biblical images or metaphors are to be ignored or dismissed. What it does mean is that in the process of contextualizing the gospel, we are searching for an expression or description of the gospel shaped in the cultural language of the people that communicates the significance of the cross in a way that connects with the hearers; it is receptor oriented. The cross-cultural communicator needs to identify metaphors present within the culture that can be used to reveal the message of the cross so that it makes an impact. The desire is that people will recognize the importance of the cross for them personally and begin a spiritual walk with Jesus. Their understanding of the gospel will expand over time and become multifaceted through the exploration of other biblical images. But initially, there needs to be the bridge of an image of the atonement that speaks to the people within their cultural imagination and perspectives. Contextualization is inevitable in cross-cultural communication. We cannot understand anything unless it is communicated in a way that fits the patterns of thinking with which we are familiar. This is most obvious in the nature of language. When I show people in Canada the Sindhi Old Testament in Arabic script, a comment I often hear is, “That just looks like scribbles!” And it is not just the physical script, but also images, words, symbols, concepts and metaphors used in language that are the windows through which communication occurs. The Bible is both the word of God and a culturally shaped text. It is God’s word because God has revealed his character and his will. It is culturally shaped because that revelation comes through the forms, concepts and symbols used by a people group located within a particular historical, geographical and cultural setting. In particular, the gospel message originates with God and is communicated through his word, but the medium of communication is the culture of the hearers. To communicate the meaning of the cross to the first century believers, many everyday metaphors, familiar to them, were used: sacrificial images, redemption / ransom pictures, salvation / deliverance metaphors, judicial / forensic language, concepts of forgiveness. Many of these connected with the action of God in the history of Israel (e.g., concepts of salvation, redemption and sacrifice) while others drew on common social structures of the time (e.g., familial, slavery and judicial images). 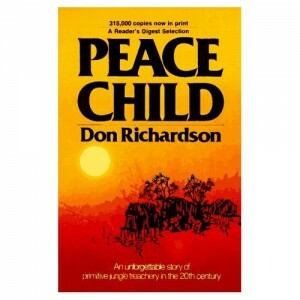 Contextualization takes place when cross-cultural communication of the message of the cross reveals the biblical message through common images within the language, concepts and imagination of the receptor audience (such as in Richardson’s example). This method of communication, evident within Scripture, is a necessary pattern for the cross-cultural communicator. The Prayer Man began to pray a lengthy and largely incomprehensible prayer. The people gathered round exuded a sense of excitement and anticipation, along with some apprehension, as the ceremony progressed. One word in the prayer stood out, “Salamat,” the Dayat word for “salvation.” The prayer ended and, with further cries of “salamat,” some men picked up the raft and deposited it into the river. Beranyut in the Dayak language means “to float away,” and the people continued to shout as the raft began to move off downstream, leaving behind in their hearts a hope for a year of relief from the forces of evil that controlled their lives. Loren followed as they moved with the raft downstream, watched as they released it from a tangle of branches in the water, and walked with them back to the village after they were assured that the raft had finally been set on fire by the lamp. For another year, a propitiation had been made to the spirits in the hope of deliverance from fear, sickness and death. The goal of contextualization is not to construct a “mechanical” understanding of how atonement works and then use that as the basis of communicating the gospel across cultures. Attempts to peel away the “husk” of the metaphor to identify the “kernel” of propositional truth, rather than exposing reality, actually serves to take us farther from the significance of the cross. Instead, the goal of cross-cultural communication is to discover the metaphors already present within the culture that resonate with the images of the cross provided for us within Scripture. This resonance can then be enhanced, developed and deepened through the addition of other metaphors of the cross to obtain a number of facets or perspectives on the cross. For example, a number of Muslim guests that I entertained in Pakistan would express disagreement over the concept of calling God “Father.” Their arguments were logical, based on literal and biological assumptions: “God is Spirit, a father must have a body” and “To be a father, a person needs to have physical relationships with a woman,” and “We are creations of God, not his physical offspring.” Because of their rational critique they were unable to enter into a relationship with God as father; they failed to embrace the metaphor in the way it was intended. However, once reality is seen as relational and atonement is welcomed as reconciliation5 (one biblical metaphor), then the role of Jesus as the older brother bringing us back to the father has impact. 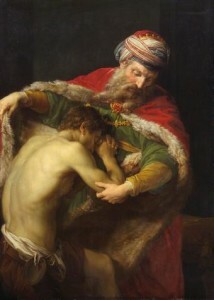 As illustrated in the article Making the Gospel Understandable, it is not the analysis of the God as father that is important, but the act and experience of relating to God as father. For me to know my family is far more important than to know about them. To know God is incomparable to knowing about him. Metaphors, far more than explanations, lead us into a relationship with and experience of God. 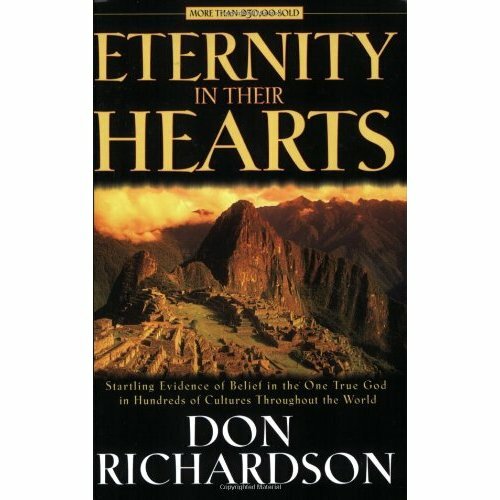 Contextualization functions on the assumption that it is not the analysis of metaphor or reducing biblical expressions to mere “illustrations” of facts that allows one to communicate, but the recognition that the metaphor becomes the door through which our hearers experience the reality of the atonement. When they hear the message and connect the significance of the cross to experiences and relationships within their own context, then, and only then, Jesus’ death and resurrection becomes relevant and attractive to them. The effective cross-cultural communicator, therefore, seeks for those images within the culture that connect people to the metaphors of the Bible with resonance and impact. Because Jesus died “once for all,” they were freed from the once a year atonement that required an animal sacrifice (cf. Heb 10:10-14), a sacrifice that could not redeem (cf Heb 10:4). The blood sprinkled on the people and the doorposts parallels the Old Testament rituals of covenantal cleansing (Ex 24:8, cf. Heb 9:19,20) and the passing over of the angel of death (Ex 12:7). These Old Testament images are fulfilled through the blood of the perfect Lamb of God (Heb 9:23-26). 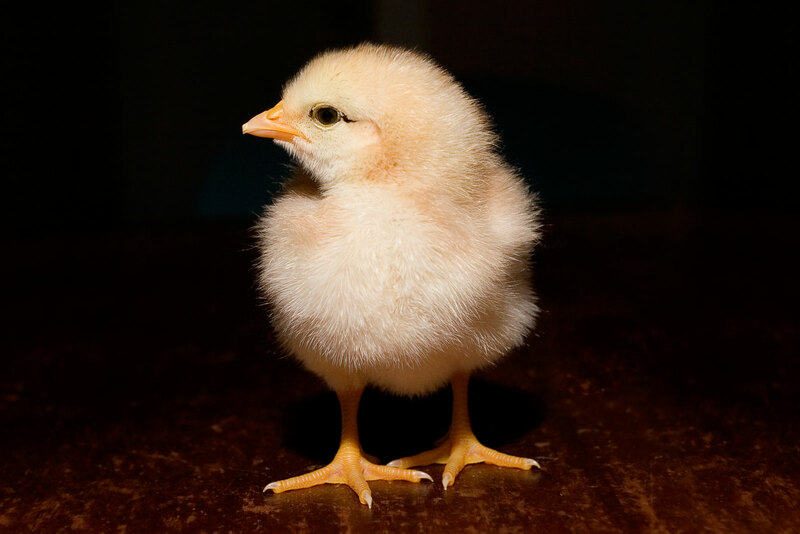 The two chicks, one dead and one alive, call to mind the two goats used on the day of Atonement recorded in Leviticus 16. While one goat is killed for the sins of the people, the high priest is instructed to “lay both hands on the head of the live goat and confess over it all the wickedness and rebellion of the Israelites—all their sins—and put them on the goat’s head. He shall send the goat away into the desert in the care of a man appointed for the task. The goat will carry on itself all their sins to a solitary place; and the man shall release it in the desert” (Lev 16:21,22 TNIV). Living among continual fear and sickness, the Prayer Man year after year pleaded for redemption from horrors inflicted by the spirits. Now Dayak believers rejoice in a sinless high priest who died for them once for all (Heb 7:26,27) and intercedes for them continually (Heb 7:25) to provide them with a daily experience of deliverance from sin, fear and death (cf. Heb 9:25-26). In one sense, the cross of Christ cannot be comprehended and we only have glimpses of what it means. The Gospel of John is a theological treatise on the nature of Christ that is like a welcome splash of cool water that provides a hint of the ocean. Angels continually ponder the implications of this central act of history (1 Peter 1:12). Yet, at the same time, like the metaphor of “father,” God has provided us the opportunity and ability to use concepts and images of our own culture to grasp the meaning of salvation in Jesus. It is the intersection of biblical teaching with cultural metaphors that provide the most fruitful results for people to appreciate and experience the gospel. Contextualization for the cross-cultural worker needs to have the same orientation as Jesus had when he explained the kingdom of God. He constantly drew images from daily life, images that resonated with the people, and said, “the kingdom of God is like…” so that they would understand and begin to grasp some of the basic realities of the kingdom. Similarly, we have a number of different pictures given to us concerning the atonement in the Bible. These are pictures common to the people’s daily life and experience. Such images are both cultural and a true representation of reality. As with the kingdom God, the only way to provide a true picture of the cross is by connecting a biblical metaphor to what is known in the culture of the receptor audience. This is the skill that needs to be developed by the cross-cultural worker: to take the images present within the context and use them to reveal the meaning of the cross. How can this be accomplished? The next article provides one model that has proved helpful. Mark spends part of his time assisting churches in developing significant cross-cultural relationships. If you are interested, please contact him via the Contact Me form. If you would like to leave a comment about this article, please use the “comment” link at the bottom of this article. 1 Loren is my colleague at Northwest Baptist Seminary and he related this story to me. 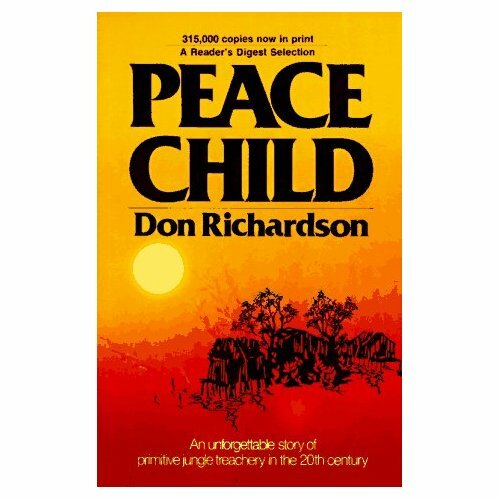 2 Richardson, D. Peace Child. Ventura: Regal, 1974. 3 For passages on the metaphor of victory over evil see Colossians 2:15, Hebrews 2:14-15. 4 McKnight, S. A Community Called Atonement. Nashville: Abingdon Press, 2007, p. 39. 6 G. MacDonald, Unspoken Sermons Series II, The Voice of Job, p. 350. 7 G. MacDonald, Unspoken Sermons Series III, The Truth, p. 465-466. 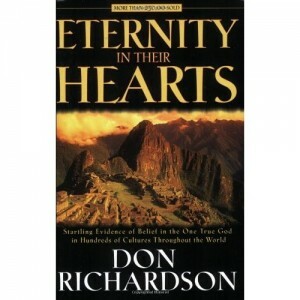 8 Richardson, D. Eternity in Their Hearts. Ventura: Regal, 1984. This entry was posted in Contextualization and tagged atonement, Communication, Contextualization, Cross-Cultural, Language. Bookmark the permalink. Great article Mark! I can’t wait to read the next one.